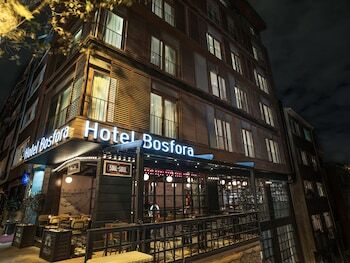 Located in Istanbul (Besiktas), Hotel Bosfora is within a 15-minute walk of Ihlamur Palace and Maritime Museum. Featured amenities include complimentary wired Internet access, a 24-hour business center, and complimentary newspapers in the lobby. When you stay at Zena Hotel Bodrum in Bodrum, you'll be by the sea and 13 minutes by car from Vita Park Golf Club. Featured amenities include a 24-hour front desk and coffee/tea in a common area. Located in Istanbul (Maltepe), Cityloft 30 Suites is convenient to Yeditepe University and Brandium AVM. Free self parking is available onsite.